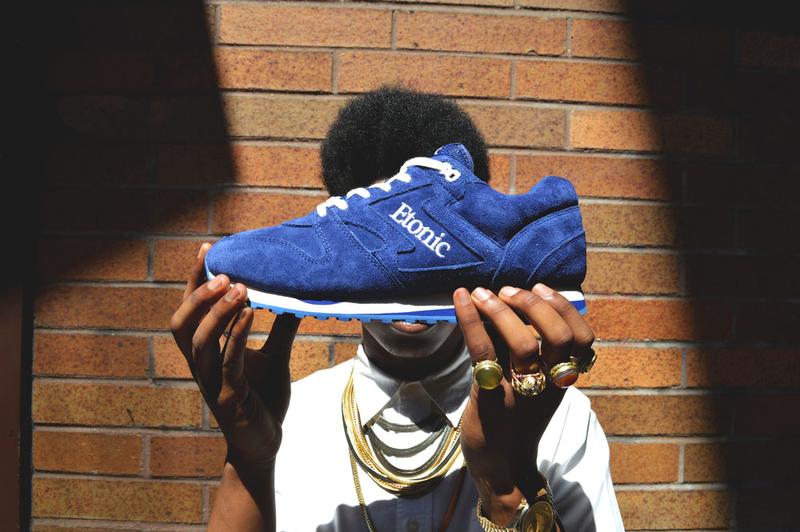 The relaunch of one of the first footwear brands was on the horizon heading into Spring 2014. Etonic which was once made iconic by Hakeem Olajuwon (Basketball player) Hakeem "The Dream" brought this brand into the spotlight back in the 70s and 80s. 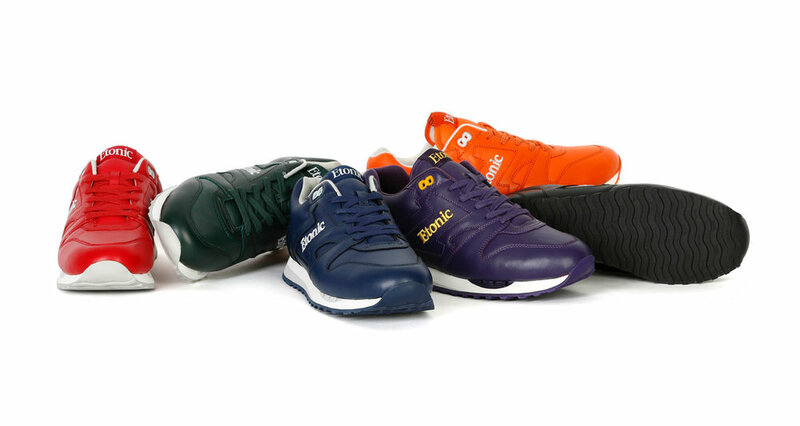 Etonic had pushed for the relaunch of the brand in 2014 with the launch of three silhouettes the Hakeem The Dream basketball shoe, Trans-am trainer, and KM Streetfighter. The goal of this relaunch was to bring back the richness of their silhouettes but also give them a modern twist that would connect with todays consumer through a richness of color and story. 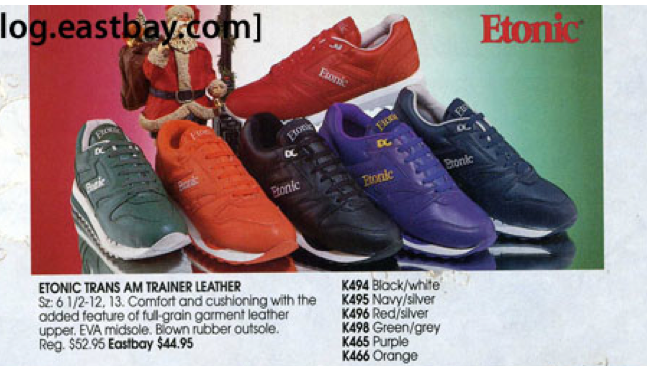 Project Brief: The image to the right is what Etonic was in the 80's. The goal is how can we create this same energy but have a modern twist. Because this is a spring shoe how can you capture the essence of the multiple characteristics that spring holds. Capture the essence of different tones and colors that comes about and blossoms during the spring time. 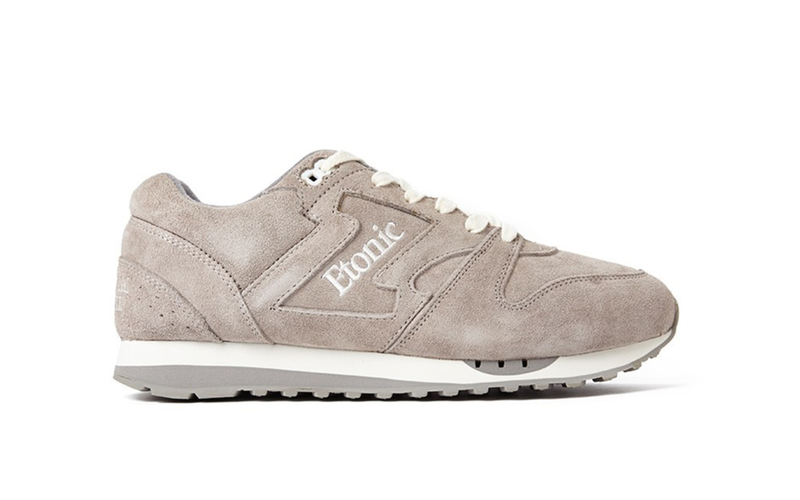 My Approach: Based on the brief I really thought that it was important to capture the essence of what Etonic can bring from a modern perspective. What the spoke to me from brief was to be able to capture the different tones of Spring. 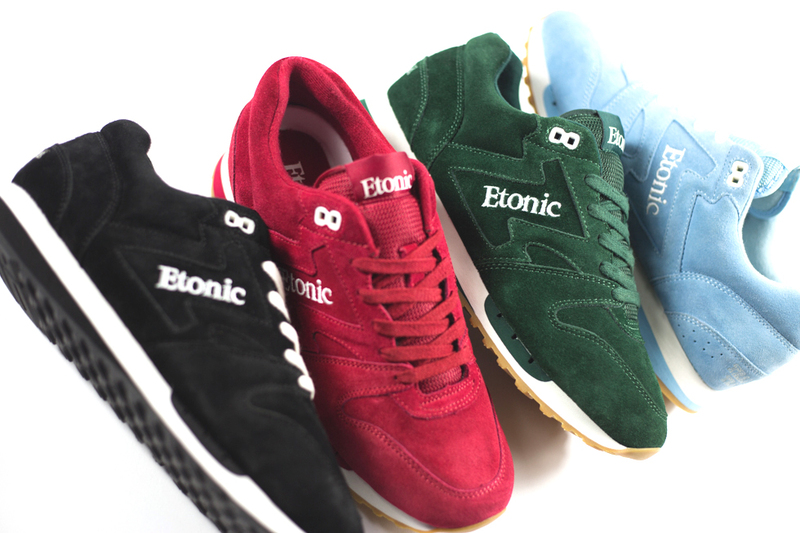 These colorways identified the essence I thought which was spring to me. You notice a softness yet intense color palette. The Collection: After identifying each aspect and color story it was important that not only do these products stand alone but it was key that they stood even better as a collection. Thank you to the team at Etonic and Shannon Hayward (President) for the opportunity to create. I learned a lot about design and trends because of this project and got a chance to be apart of a relaunch of a brand was very special to me. Each of these products were carefully designed and a lot of time spent understanding how to bring a consumer a flawless product.